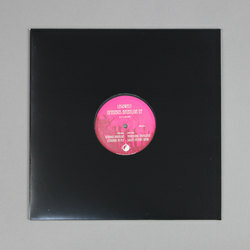 Legowelt - Omnibus Babylon EP. Vinyl EP. Bleep. A new EP emerges from the Hague-based producer in the form of ‘Omnibus Babylon’, four tracks birthed through a series of serious contemplation on the practices of myth and the narratives of sci-fi. Having been quiet for a moment now, Legowelt’s latest EP is something to celebrate, a selection of tracks that are as unfaltering good fun as they are accomplished. Operating within his usual branch of Chicago house meets ‘romantic ghetto technofunk’, ‘Omnibus Babylon’ jacks forward with an easygoing melody and touches of acid that grow more pronounced as the outfit progresses. ‘Learning to Fly’ provides something more chilled out than the rest of the EP, the spacy elements of the song playing in nicely with the sci-fi basis of the work as pads of curious sound take us on a journey across the dancefloor.